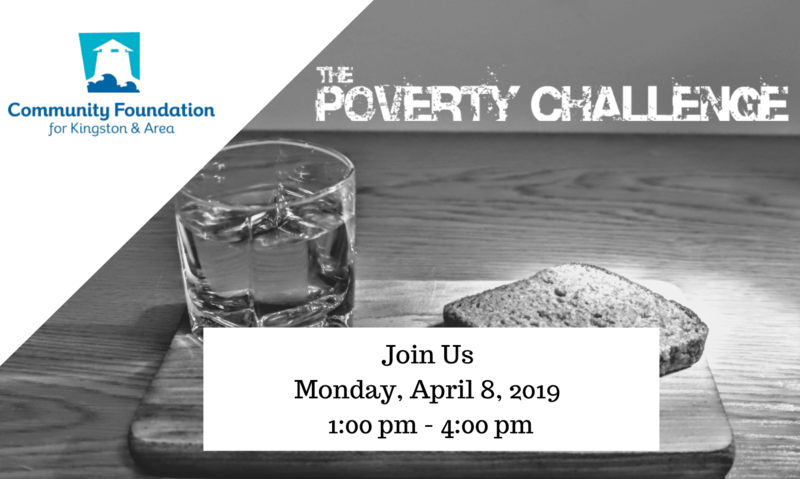 The Community Foundation for Kingston & Area is thrilled to partner with The Poverty Challenge to offer you this experiential learning opportunity about living in poverty and poverty reduction. The Poverty Challenge – developed by a group here in Kingston in 2009 – is designed to allow those not living in poverty to experience poverty as it is, and to develop an appreciation for those who must navigate the system as it currently exists. Poverty is a complex issue that affects thousands of people in our communities, but some of the problems that cause it to exist can be fixed. you’ll be given a profile and a series of challenges that you’ll try to meet by seeking help from local agencies during a simulation involving real procedures and documents from community and government organizations here in Kingston. You will have to do your best to succeed by advocating for yourself and using community resources to the best of your ability. you’ll be given the role of a social service worker, training and a script to follow. In this role, you will advise clients coming to your office for help. The Challenge will conclude with small group discussions about your particular challenges, either in the role of a profile or in the role of a social service worker. This discussion will be attended by an expert on these issues. Whether you are a service provider, community leader, or an interested citizen, and regardless of your level of knowledge or experience, you can anticipate walking away with a different appreciation for the experience of those living in poverty. Pre-registration is required. Limited number of participants.